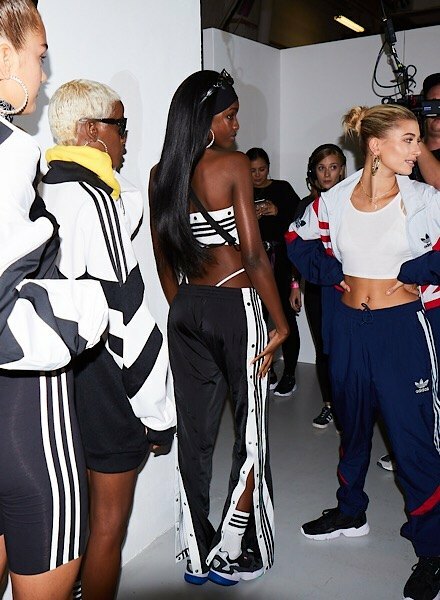 Just yesterday, JD joined adidas and catwalk-queen Hailey Baldwin for their very own Falcon fashion show. 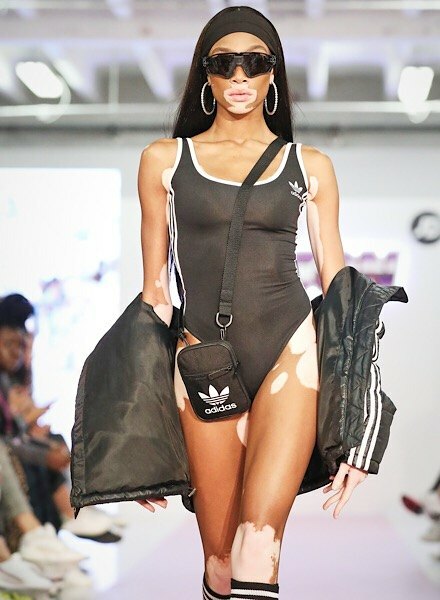 Giving us all the adi vibes, the show went off! Treating a celeb-packed audience to some of the freshest Falcon ‘fits; this event was one to remember. Such an amaze show obvs deserved a star-studded audience. 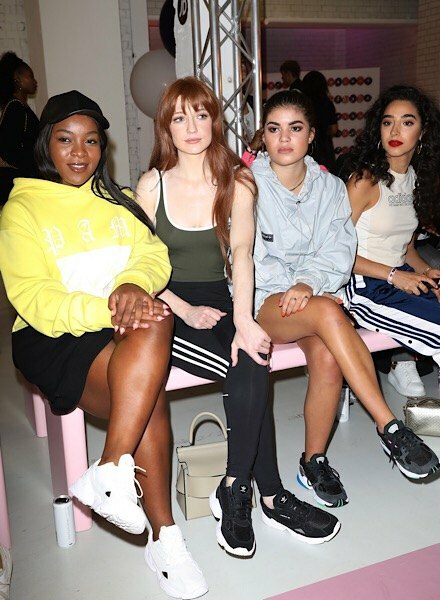 Love Island gals Meg and Kaz were reunited, sitting together in the front row dressed in head to toe *JD-exclusive* adidas. Not the only Love Islanders in attendance, Montana Brown also rocked a taped tee and leggings – not forgetting her black Falcons! Styled by Hailey herself, the show saw a whole load of killer looks hit the runway. Each model absolutely SLAYED – working the catwalk in a pair of Falcons and some of the hottest adi fits. With hoodies, tees, leggings, poppers and more, Hailey showed us just how it’s done. The show had heaps of gorg models sporting each look, including a couple of familiar JD faces and beauts Winnie Harlow and Leomie Anderson. Guaranteed to fly out after giving us all the inspo, make sure ya shop the looks on site RN before they’re gone! Giving guests the full Falcon experience, mid-show snacks consisted of sparkling glazed donuts and freak shakes – all given the Falcon stamp of approval. 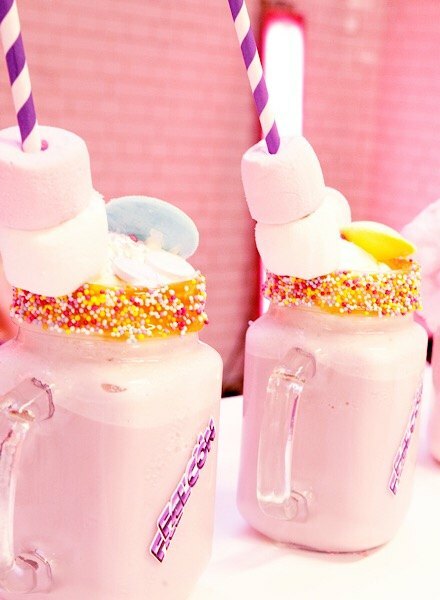 I mean milkshake, candy floss and sprinkles…it’s a yaaas from us! Not simply a catwalk show, the event finished with a performance by American singer and total babe, Charlotte Lawrence. 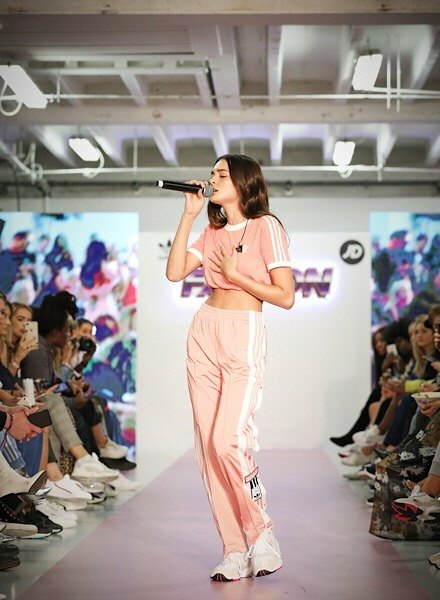 In a cute pink adi ‘fit, Charlotte sang some tracks to close up the show – the perfect finish to a mad day!